This article is both a joy and a sorrow to write. It is the story of the last 5 years of my life. 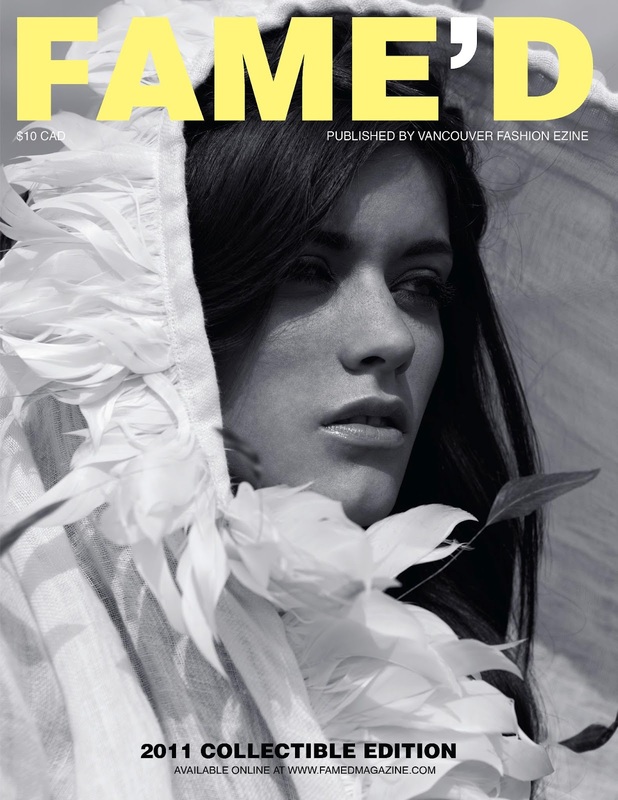 Famed Magazine (first published under the name of Vancouver Fashion eZine), began with a meeting in July 2007. I desperately wanted to write more seriously but could not find a regular outlet. After posting a notice on Craigslist. a local fashion photographer and web developer emailed. He wanted to start a fashion magazine promoting Vancouver artists, had the website and name, and just needed to find writers. The decision was made to launch the first edition in 2007. I was one of 4 writers in the beginning, but many times had to pick up the slack for others that dropped out. There was one month where all 5 articles landed in my lap. The photographer handled most of the photo shoots as well as everything to do with the website. It took only 6 months for me to realize there needed to be someone in charge of scheduling and writers, so I stepped up to the position of Editor, leaving the creative direction and website in the founder's hands. Shortly thereafter I became a partner. It was an amazing experience. Interviewing and telling people's stories proved a deep passion for me and that focus trickled into the articles produced. Opening a door for readers to learn more about the artist, their life and inspiration proved to be popular with readers and the magazine quickly gained in circulation. From just 4 articles a month we grew to have 8 regular features - New Designer, Update Designer, Accessory, New Face, Fashion Professional, Design Student, Retail and Behind the Scenes (interviews with those in the industry for 20 years or more). Special features found their way in as well such as the annual Telio Competition. Then a new door opened. In February 2007, my mother's unexpected passing left me with a small inheritance. While trying to get to sleep one night, my thoughts drifted to the magazine that meant so much to me and all the contributors who helped produce the content. I wanted to thank them and celebrate what we had collectively achieved. In meeting with my partner I shared my decision to finance a 2-year print collectible edition and he surprised me by choosing to create the graphics. Although I was worried about the timing as he had a full-time job and a young family, in the end it proved a godsend. The cost of a graphic designer would have been more than I could have covered! From that moment, we both entered a 4 month pressure cooker. All photographers who had contributed had to be contacted to get hi-rez images and permission to publish. Every article had to be gone over as none had been edited in the beginning and standard lengths needed to be imposed. Ads had to be sold - a difficult and frustrating job when you have never done it before, a printer decided on, quote received, pricing calculated and distribution sorted out. 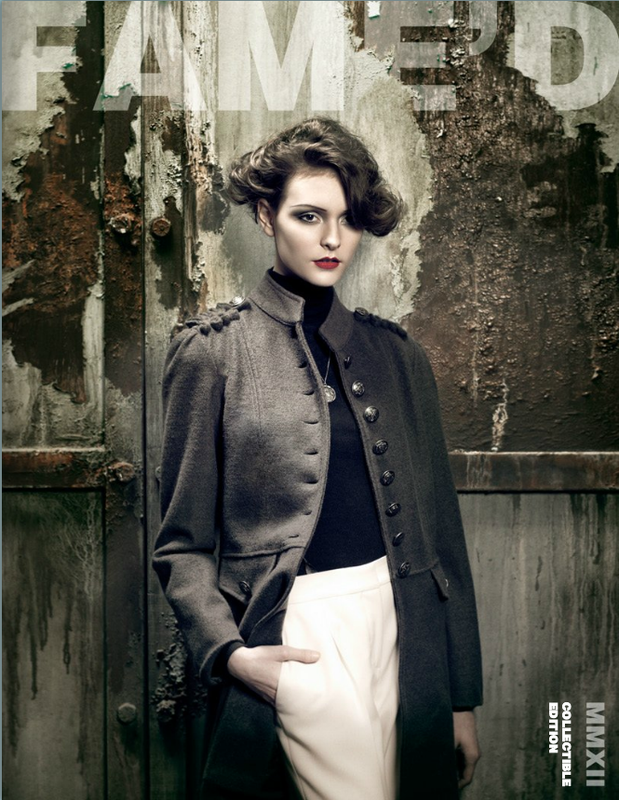 The issue was to contain all content from September 2007 to September 2009, so monthly editions had to continue to go up while we added the new work load. I think both of us collapsed at one point and a few times considered folding the project, but in the end it was worth it. It was beautiful and when I opened the box and held that first copy in my hands it made me cry. My husband was a dream through all this, most of all when the magazines arrived. I had ordered 5000. The Olympics were coming and I wanted to be sure I had enough to really widen our readership. Unfortunately I had no idea how big a 258 page glossy magazine was and how much room they would take - or even how I was going to get them in my house. Reality struck with the arrival of the shipping documents - the magazine weighed a whopping 1 KG each and were 1/2 inch thick! I had seriously underestimated the mailing charges for our online pre-sales and had to refund international orders. There were 250 boxes weighing over 20 KG each that had to be moved by hand from the driveway into the house and stored. It was backbreaking work. Fortunately my daughter was travelling for a year as we filled her space from one end to the other. It took a full year to distribute all those copies and I didn't break even on my investment, but it is the one decision I am most proud of. I wouldn't change a thing. 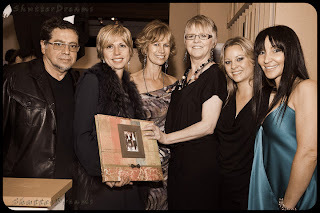 In September 2010, the magazine had it's first launch party - conceived and produced by one of our writers, Steely Springham. It was both exhausting and exhilarating. Then we re-branded to Famed at our launch in October 2011. The new name, once established, would open the doors for further growth and a wider coverage of the arts. A graphic artist came on board to handle the artwork for the 2012 edition - a welcome addition. Unfortunately, in March 2012 the difficult decision was made to cease publication. For all our success in readership, the magazine had not made in-roads in becoming a monetary success and the hours required to handle all the demands of our continued growth had begun to take it's toll. It was the right decision, but one of the hardest of my life. The new content would not go to print, so complimentary download version was created. As I say farewell to this chapter, I look back with pride. This publication was a collaborative process with over 350 talented industry professionals that opened the door on artists from unknowns just out of school to international talents. 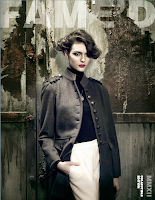 Each annual edition featured around 70 articles and the work of over 100 artists - photographers, hair stylists, make-up artists, fashion stylists, writers and illustrators. Fame'd was unique in the industry and I hope more publications take notice and step in to fill the void. In honour of our 5 years - a collectible DVD has been created with digital 3D versions of all publications from 2007 - 2012. It is available for PC or MAC (a PDF only version for iPAD is also available - email for information). This is such a great resource for anyone involved in the fashion world and full of content for those interested in behind the scenes stories. 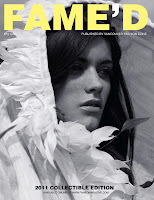 For more information go to - http://www.vfe-famedmag.blogspot.ca/2012/05/famed-magazine-digital-collectible-dvd.html. Now the future lays wide open. Where the future will take me is still up in the air. I can only hope it's as exciting and rewarding as the last 5 years have been.